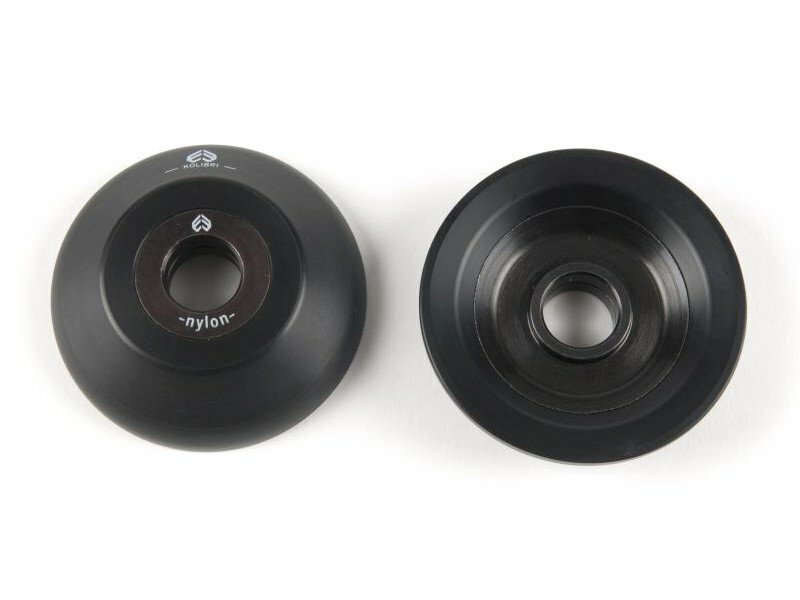 The eclat "Kolibri" Rear Hubguard - Nylon / Aluminum fits to the "Non Drive Side" of your eclat "Kolibri" Cassette hub. This two-piece Hubguard consists of a stable Aluminum core and a additional thick nylon cap that offers low friction slip properties as well as good durability. The eclat "Kolibri" Rear Hubguard - Nylon / Aluminum gets simply installed by replacing the cone of the hub.